The attorneys at Mitchell Sanchez have successfully obtained more than $40,000,000 in verdicts and settlements for its clients who suffered traumatic brain injuries in the last 4 years alone. At least 1.5 million people suffer from a traumatic brain injury (TBI) each year. 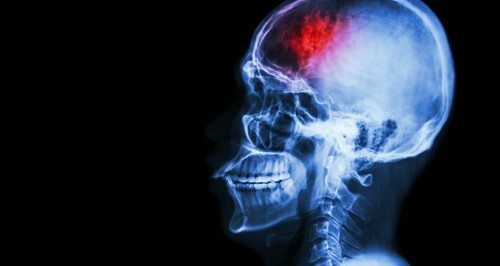 TBI can happen as focal injuries such as when a head hits a windshield. This direct impact can cause damage to the area of the brain where the initial contact occurred as well as causing the brain to slam against the skull in the opposite direction of the initial blow. Focal lesions in these areas can be seen on brain imaging in many cases. Diffuse injury is more of a scattered type of injury which may occur when there is a sudden acceleration and deceleration of the head. This causes the axons in the brain to shear or tear apart causing a more wide-spread injury. Penetrating injuries occur when the skull and dura matter under the skull are penetrated by an object such as a bullet. In general, TBI are categorized into three severity levels: mild, moderate and severe. There are several brain injury severity indices which measure severity of the injury: The Glascow Coma Scale (GCS), the Abbreviated Injury Scale (AIS) and the Mayo Head Injury Classification System. Diagnosing TBI can be challenging when the injury is classified as mild. However, new imaging techniques are providing significant tools for physicians to not only diagnose the initial acute injury, but also to determine the full nature and extent of the injury and prognosis for that injury. Even a mild TBI can lead to life-long permanent consequences. Often a person’s cognitive deficits can be revealed through testing by a neuropsychologist. These tests can correlate to findings on brain imaging. Treatment for TBI is more centered around the acute phase of the injury where the health care providers try to limit further secondary damage from the initial injury. Long-term rehabilitation is indicated in moderate and severe TBI, but permanent cognitive deficits are usually seen in these injuries.